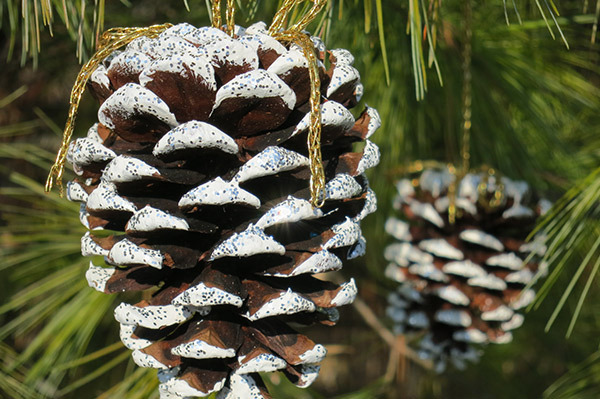 If you want your Christmas tree to have a natural and homemade feel, you can’t do without these cute, snowy pine cones. Their simple elegance works with all types of decorating styles. 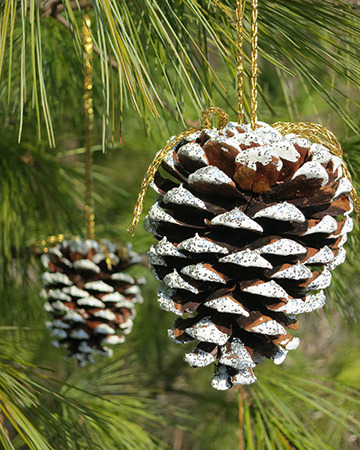 These pine cone decorations add a wonderful natural sparkle to the tree. Plus they’re unbelievably simple to make, so you’ll have a special set of ornaments in under an hour! Lay out the paper towel or old sheet to keep the area clean. Squirt some white paint onto a piece of paper or other surface you can throw out. 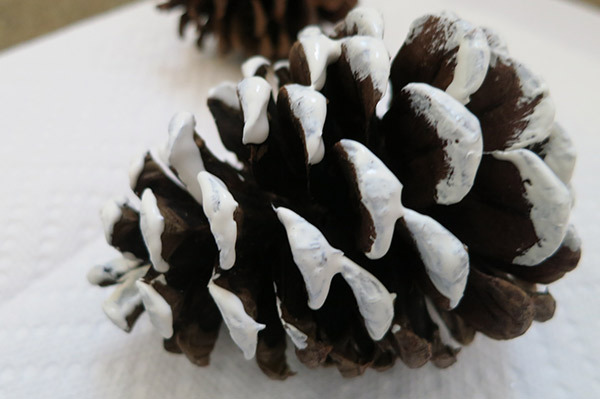 Hold a pine cone and, using the paintbrush, dab the white paint onto its top and its edges. Paint one side only to start. Be liberal with the paint so the glitter has something to stick to. Sprinkle glitter onto the paint. Set the pine cone down on its unpainted side to dry. Repeat with the remaining pine cones. 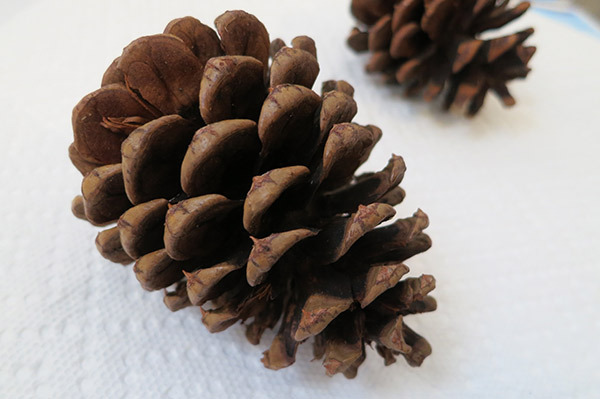 Once the first sides of the pine cones are dry, repeat the process on the other sides. Let them dry. Cut the ribbon or metallic rope into 2-feet sections. 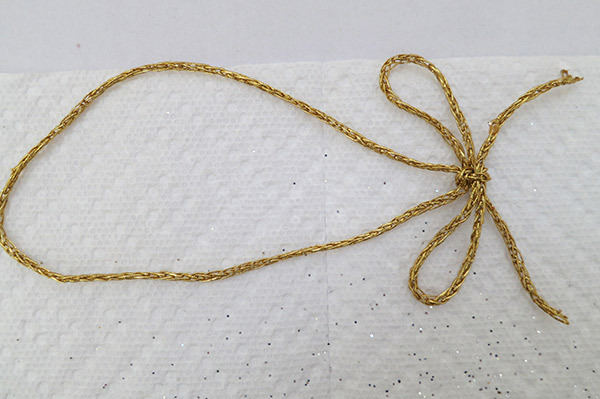 Tie each section into a large bow. 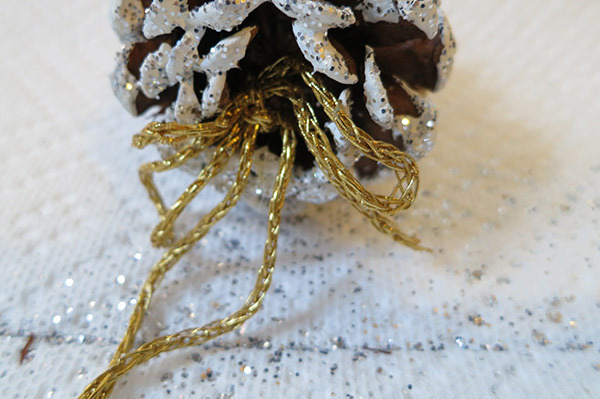 Glue the knot of the bow to the top of the pine cone with the hot glue gun. Let dry. This is a simple craft, so feel free to get the kids involved. 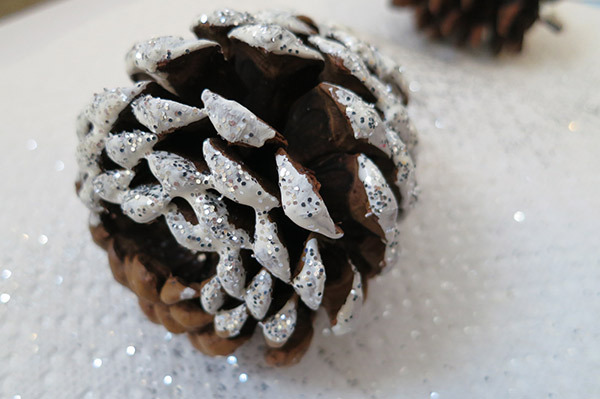 Do the hot glue part yourself, but let the kids take part in the painting and glittering!